Old Salts is a local multiplayer game up to four players. 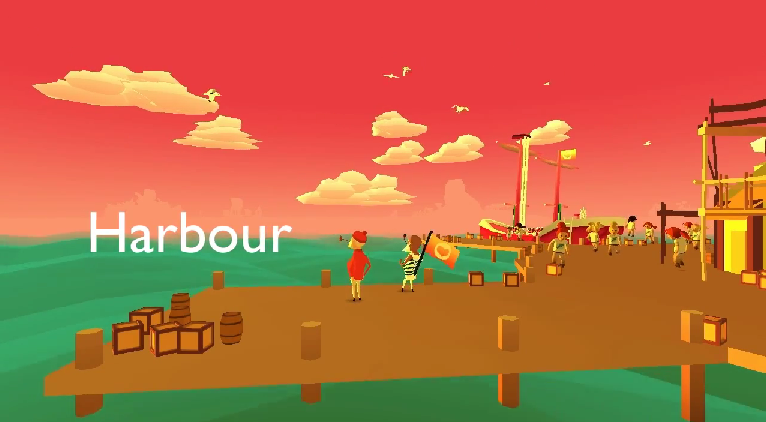 They embody sailors and explore an open world made of islands and dangers. They have to manage themselves on a ship in order to defend and sail the ocean as they wish. The game was finalist to the Imagine Cup France 2014. I was a game designer and sound designer on the project. 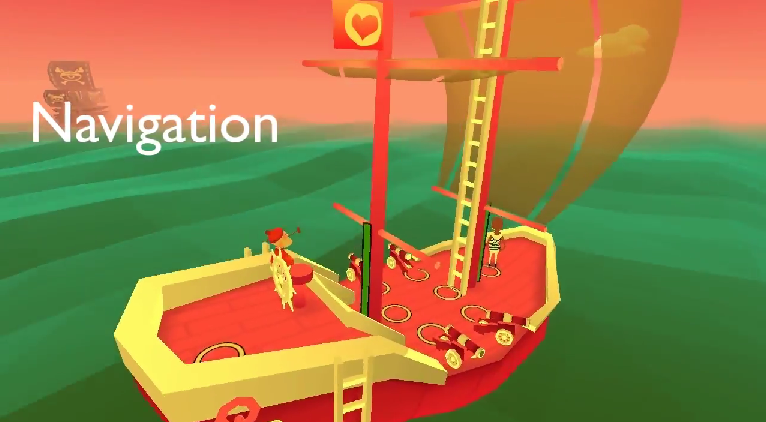 In this way, I designed the interactions between players on the ship. We wanted the teamwork to be essential in Old Salts. 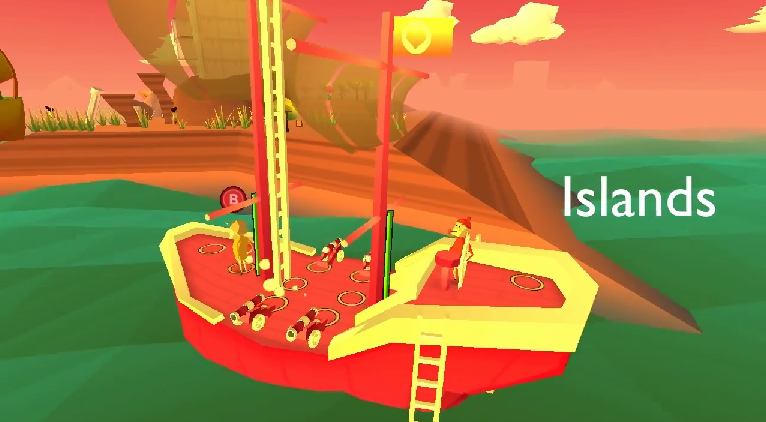 The ship couldn't sail the sea with a single player, and all the players would have to move from post to post in order to navigate properly. 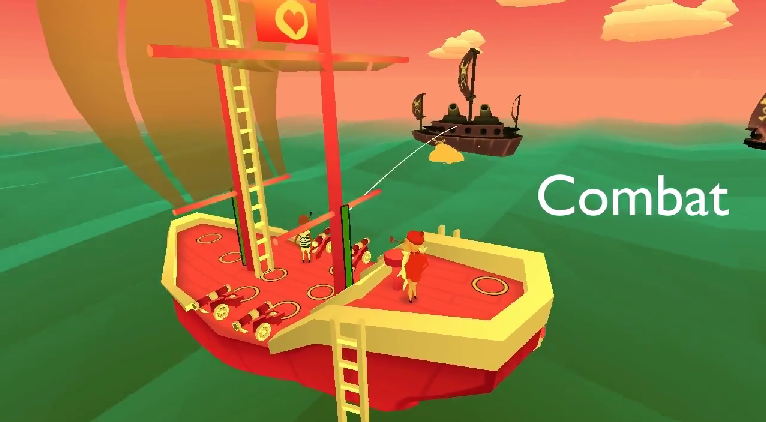 We wanted to create the feeling of being on a real ship, with shouts and movements both in the game and in front of the screen. You can check a gameplay video right here. 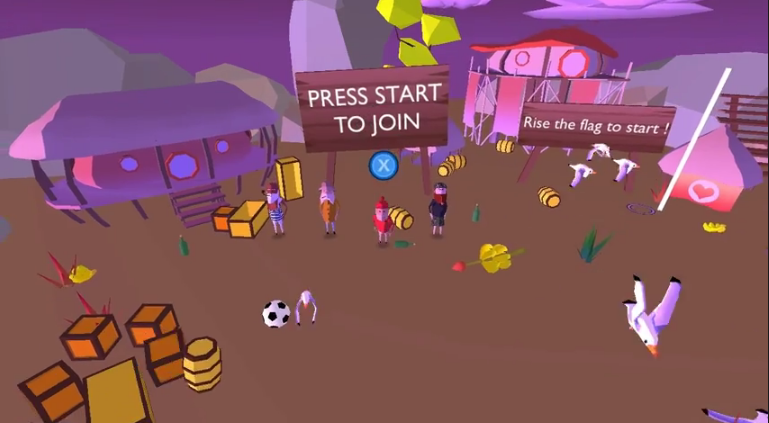 Developed with Unity, this project taught me how difficult it was to design a multiplayer experience in an open world, and keep players together in an instant fun, whatever happens. Moreover, it taught us how to present a game in front of a panel of professionals. Old Salts has been made with Julien Gauthrin, Louis Gauthier, and Tom Victor.